No matter how hard you try, no matter how efficient you become, there are still only 24 hours in the day. Many people complain about not having enough time to complete their tasks and this is understandable. It doesn’t really matter who you are or what you do; we are still bound by the shackles of time. 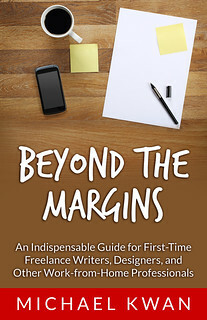 It is absolutely true that freelance writers and other similar professionals have a relatively greater degree of freedom in regards to time management than their conventionally-employed counterparts. However, we are still looking at the same clock and we still only have so many hours to produce. I am my own boss, but I am only getting paid when I put in the work and put in the time. How can freelancers overcome this? While I am far from making the full transition, the ultimate goal is to earn more passive income. I’ll still have to work, to be sure, but it will be work that can continue to generate money even when I put in no additional work. Part of this initial strategy has to do with running a blog like Beyond the Rhetoric, since the income generated through advertising can continue to come in without further input, but the blog still needs to be maintained and updated. Let it slide and it’ll stop making money. More recently, you may know that I co-authored a book with John Chow. With Make Money Online: Roadmap of a Dot Com Mogul, I will continue to earn royalties so long as stores keep stocking the book and people keep buying it. The residual income likely won’t be huge, but it won’t require any additional work from me. This is really a topic that I’m focusing on a lot right now. I keep finding that freelancers don’t think in terms of products, but at the same time, I feel like passive income streams are the only ways to continue to grow our income once our hourly rates are starting to top out. Of course if we could figure out what Einstein was leading to with time and space we might find that we have more time then we think we do. Of course it would be nice to have that passive income, but it has to be built over time. It’s not a wham bam thank you maam type of thing.